Think and Do provides loans for micro-enterprises. The loans have been given to socio-economically disadvantaged people in order to start small businesses or make their existing small businesses commercially viable. 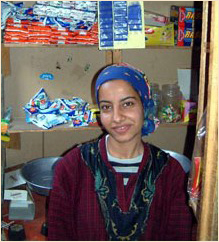 Loans are given and managed through local committees around the country, especially in the villages of Upper Egypt. Funding is normally in the amount of 1,000 EGP (approximately 140 USD) or 2,000 EGP (280 USD). The repayment period is two years. In cases of particular need, such as widows with dependent children, Think and Do gives small non-repayable grants for micro enterprise. Some grants are given in the form of tools to enable deserving trainees set up small businesses, such as plumbing or hairdressing.